Jinhua Jingcai Garments Co., Ltd.
besides, welcome clients from all over the world to find us to be your purchasing agency in china. if you are interested in our products, welcome to inquiry . 3.Custom pattern:Your own design logo and label are welcome,we offer print/embroider craft for you. 4.Custom size: according to your market ,confirm the finial size will be better. Q:What's your procedure of order 9 --Produce sample for you confirm quality. 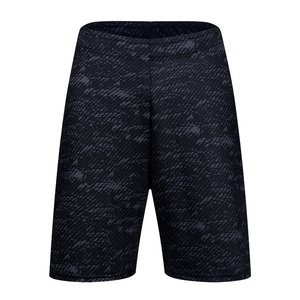 Hangzhou Tuwo Wulian Technology Co., Ltd.
1.Description Style: sport pants Length: long pants Waist: medium waist Trousers fly: draw cord fly The price depend on your MOQ . please left a message for us , without hesitate. : ) Hope built a longterm relationship with U. Description: 1. Custom Classical Sweatpants 2. Wholesale and factory price 3. OEM Services 4. Fashion Style The classic Sweatpant is crafted in a superior quality we can use any fabric on any panel at your request, but we mostly use Cotton Fleece, Cotton Jeans, French Terry, Leather, or artificial leather to control the cost with the same look, and also can be use mixed material at your request. We can also use quilt lining fill inside to keep you warm in coldest days at your request, Available in any requested size. 1.Can I have your catalog9 -You can find out our catalog in the navigation menus:PRODUCTS. 4.Do you have any design limit for clothing9such as: design,quantity,color,size. 5.What's your price9 -According to your requirements and quantity. click below picture for more information about this running sports product!!!!!! click below picture for more information about this running sports product!!!!!! Shishi Mengdiqiu Garment Co., Ltd. Some new custom fabrics will be more than 500 pcs per color and design . if need, we suggest customers provide us sizes dates by themselves, thus we can make true same as customers want. And we bet you can get good quality products with good service and low price. 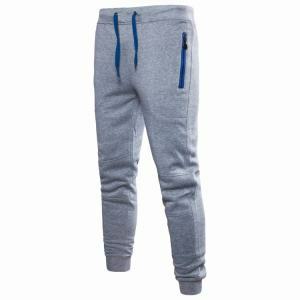 Guangzhou HS Garment Co., Ltd.
Pocket Drawstring jogging pants Custom jogging pants 1) Various fabric material, colors, patterns and sizes are available. workmanship : can be printed or embroidered , etc logo: DIY ,Welcome send your own design to us for making samples. Fast delivery and competitive price 5) Sample rule: Option 1: offering free existing samples. Of course , it can be packed completely to your request . * 10 assembly lines for producing , capacity of 10000pcs pcs in a month. *Different sizes or any other designs can be customized according to customers&rsquo; requirement. 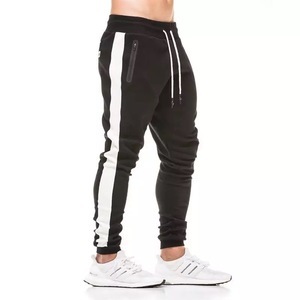 Alibaba.com offers 3,352 pockets jogging pants products. About 26% of these are training & jogging wear, 18% are men's trousers & pants, and 18% are fitness & yoga wear. A wide variety of pockets jogging pants options are available to you, such as free samples, paid samples. There are 3,375 pockets jogging pants suppliers, mainly located in Asia. The top supplying countries are China (Mainland), Pakistan, and Bangladesh, which supply 72%, 24%, and 1% of pockets jogging pants respectively. Pockets jogging pants products are most popular in North America, Western Europe, and South America. You can ensure product safety by selecting from certified suppliers, including 161 with Other, 93 with ISO9001, and 51 with BSCI certification.